Zespri's first shipment to China of New Zealand kiwifruit for the 2019 season set sail on March 24 and is expected to reach Nangang Port in Shanghai on April 8. 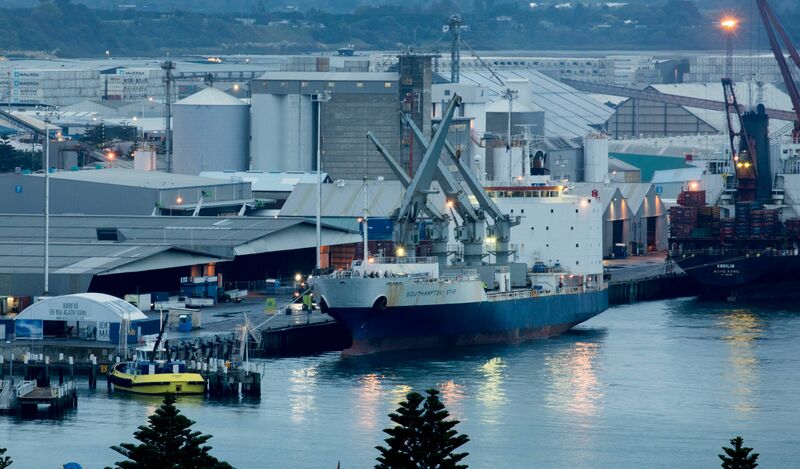 "The Southampton Star departed from Tauranga Harbour carrying approximately 3,000 pallets of Bay of Plenty-grown SunGold Kiwifruit bound for Shanghai and Kobe," Zespri wrote in an announcement. "The vessel had earlier berthed in Gisborne where it picked up 1,600 pallets of SunGold Kiwifruit"
Last week, Produce Report visited orchards in New Zealand where Zespri kiwifruit is grown and met with Sue Groenewald, Grower Liaison Manager for Zespri. We learned that this is shaping up to be a good season for Zespri in terms of production. According to Groenewald, as of a week ago, 4.6 million boxes of Zespri kiwifruit had already been packed and put into storage—up from 1 million at the same time last year. The New Zealand kiwifruit harvest runs from March to June. Groenewald explained that the early harvest of New Zealand kiwifruit is primarily in Gisborne, on the east coast of New Zealand's North Island, with smaller volumes coming out of Te Puke to the southeast of Tauranga and Katikati to the northwest of Tauranga. These areas are warm and sunny, which facilitates earlier ripening. This year, particularly, saw dry weather, with basically no rain after Christmas. This further accelerated ripening and has resulted in higher sweetness levels compared to last year. In general, gold kiwifruit ripen earlier than green, which is why this first shipment was comprised totally of gold fruit. But this season is also expected to see a shift in the ratio of green to gold fruit as farmers have shifted plantation more toward gold in response to consumer preferences for the sweeter gold fruit in Asian markets. "Last season we supplied 76 million trays of Green and 65 million trays of SunGold," said Zespri Chief Grower and Alliances Officer David Courtney. "Our latest estimates indicate we are on track to supply more than 75 million trays of SunGold this season, while Green is expected to be below 75 million trays." He added, “Zespri is still seeing strong growth in China and Japan led by increasing consumer demand for SunGold and more broadly, we’re seeing some excellent results in South East and East Asia." According to Zespri, China and Japan are its two most important markets, and it will use 30 charter vessels to transport kiwifruit to China, Japan and Korea this season, compared to three for northern Europe and 12 for Mediterranean markets. Totally, Zespri projects it will export more than 600,000 pallets of kiwifruit this season, roughly 18,000 containers worth. Kiwifruit are New Zealand's top horticultural export, with a value of USD 1.45 billion in 2018. Zespri, which also sources kiwifruit counter-seasonally in the northern hemisphere, has a target of hitting global kiwifruit sales of USD 4.5 billion by 2025.